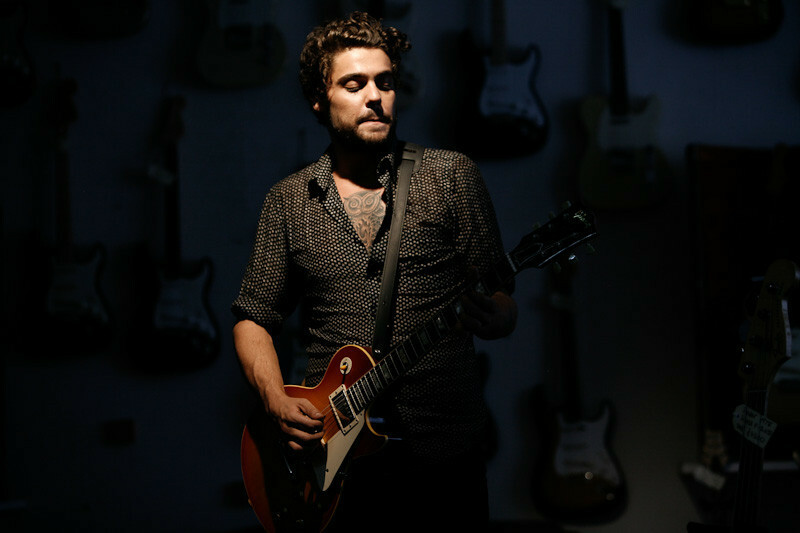 Dan Sultan continues to shine as the music industry takes a keen interest in the progress of this man and his band. With a star that’s been swiftly rising since the release of the second and highly acclaimed second album "Get out while you can" the band's powerhouse performances are reputed to be amongst the most talked about shows in the country. With a voice that is simultaneously sweet and rough, front man Dan Sultan knows how to turn on a crowd. The musical partnership and great synergy between Scott Wilson and Dan Sultan is as visible on stage as it is on their albums. From haunting acoustic ballads to big band soul rock guaranteed to make you move, Dan Sultan and his knock out 7-piece band deliver a dynamic live set. Get out while you can, the second album by Dan Sultan, is an electrifying romp through rockabilly, blues, soul, country and swing and on the back of its release last November, was Triple J’s album of the week, shooting to Number 1 on the Independent Australian album charts. It remains one of the highest selling independent releases in the country today. With striking guest appearances around Australia at festivals, on film (Bran Nue Dae), TV (Spicks and Specks; Rockwiz) and a ground breaking performance at the "Before Too Long" Paul Kelly Tribute concert, Dan Sultan is emerging as a stand-out showman amongst Australia’s music heavies – the band to watch. He is Playing in London on the 21st July at Monto Water Rats club, and the following weekend at Charlton Park Womad World Music festival 23rd to 25th July, do not miss this guy, he is Hot!.